If senators decide to support President Barack Obama’s nuclear agreement with Iran, is it still worthwhile for citizens who oppose the deal to demonstrate, call members of Congress, and make their voices heard? 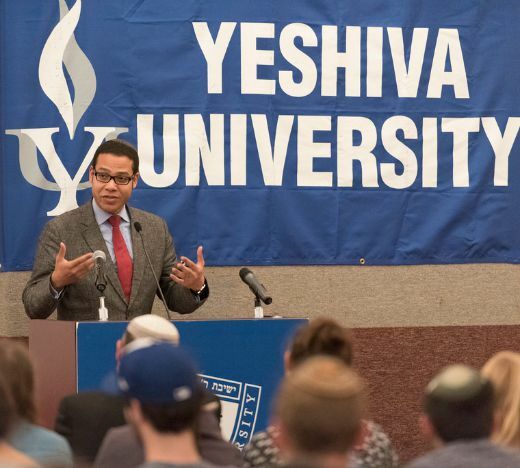 “The answer is, unequivocally, yes,” said Shimon Mercer-Wood, spokesperson for the Consul General of Israel at Yeshiva University’s Wilf Campus last week. 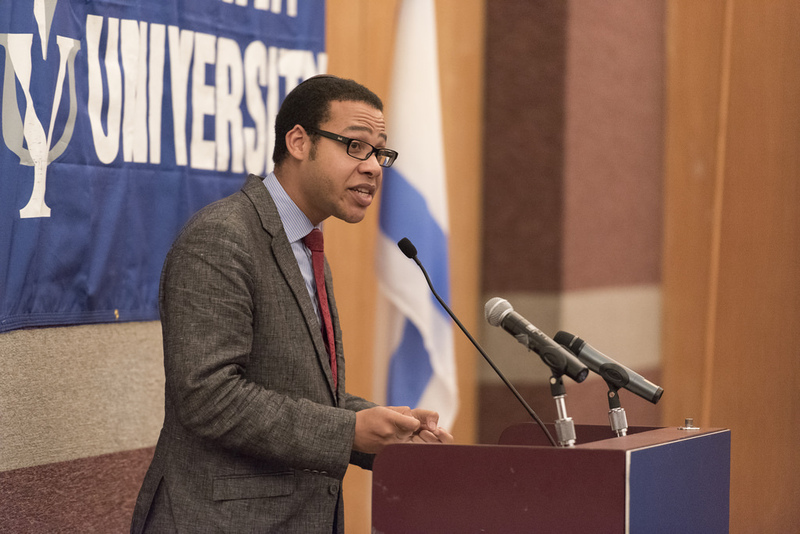 Mercer-Wood, representing the Israeli government’s point of view, addressed over 200 YU students and staff on the subject of “Israel and the Iran Nuclear Deal.” The YU Israel Club and YUPAC hosted the event. Mercer-Wood’s speech took place mere hours after national news outlets announced that Obama had secured a third of U.S. Senate votes to go forward with the deal. Asserting that, in Israel’s view, “The Iran deal is bad news,” his speech addressed four main points: why Obama’s nuclear accord with Iran endangers the State of Israel so terribly; why it would be possible to secure an alternative, better deal; why it is incumbent upon Jews—and critical for the future—to make their voices heard now, even if the deal goes through; and, finally, the right way (versus the wrong way) to go about making those voices heard. Mercer-Wood stated that although the deal’s supporters insist that the international community will have the same ability to act militarily against Iran in 10 years if necessary, such arguments are inaccurate. While the agreement limits Iran’s enrichment of fissile material, Mercer-Wood explained, it doesn’t effectively prevent Iran from building an unlimited number of centrifuges, carrying out nuclear weaponization work on military bases (which Iran could use as undeclared, concealed nuclear sites) or acquiring a sophisticated S-300 anti-aircraft missile defense system (purchased from Russia). Furthermore, Mercer-Wood said that this “disgraceful” deal signals tacit international acceptance of Iran’s status as a nuclear threshold state and will make the Iranian regime less fearful of being held accountable through military action in the future. According to Mercer-Wood, it is necessary to vocally oppose the deal and “speak in every channel that will listen,” regardless of whether the deal passes. If the deal passes only by a margin, and in the face of strong opposition, said Mercer-Wood, “we will be sending a clear message to the Middle East and to Iran in particular that the American public and political system are willing to confront Iran” in the future. This, he said, may make Iran more cautious going forward. Additionally, Mercer-Wood said that disagreements on this issue should not fracture internal Jewish unity. “We must never forget who the real enemy is, and that the way this nation has survived is through solidarity,” he said. David Aaronson YC ’18, organizer of the event and a board member of both the YU Israel Club and YUPAC, believed Mercer-Wood’s presentation was beneficial for attendees. “I think there were many people there who didn’t know enough to make a decision [on whether to support the deal] on their own and now they have the information to help them make a decision,” he said. 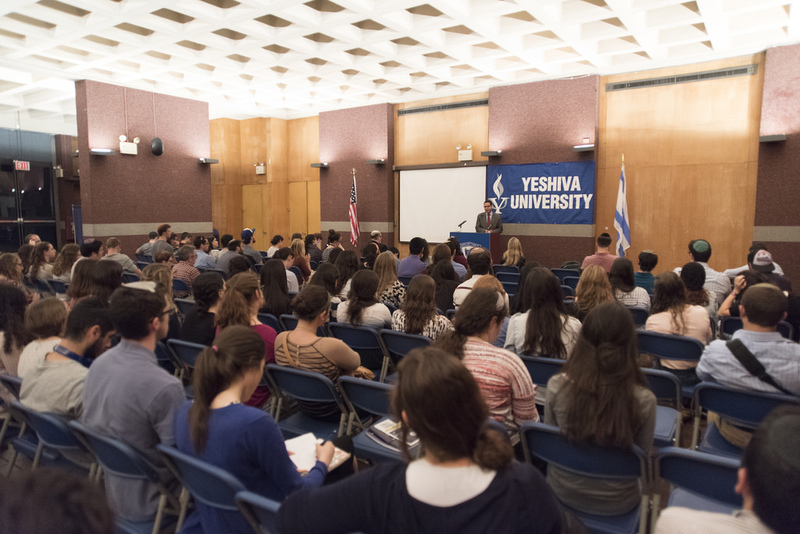 On Wednesday, September 9, a delegation of semicha students and Yeshiva University faculty will join in a rally and lobbying effort to protest the Iran deal in Washington, D.C.